STEP 1 & STEP 2. 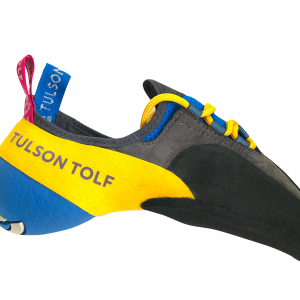 The two steps created by Tulson Tolf for the start on rock climbing. Two climbing shoes that allows the climber to start in the verticality with a revolutionary comfort and trust. STEP 1. The climbing shoe stand with the Tulson Tolf sock setting, initiates the future climber to the climbing system of the brand, providing the maximum adjustment, with maximum comfort. The grey sole, gives the identical excellent adherence of the one that enjoys a professional climbing shoe special for resine. The result, a perfect fit, that hugs the foot tightly but without tension, which together with the indoor grey rubber rubber, conveys safety and comfort like never before to a new foot in this activity. That is exactly the need for the climber to start. STEP 2. 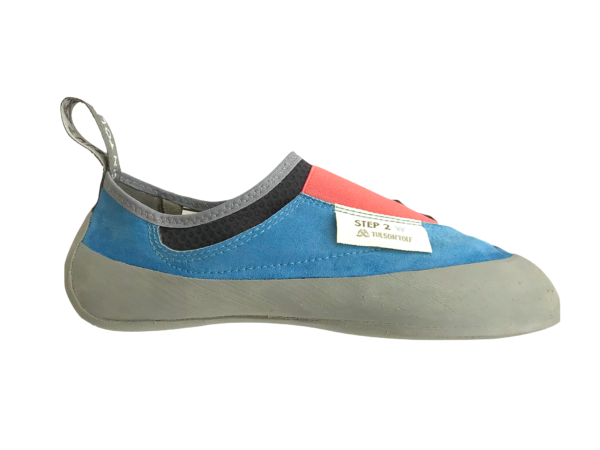 This is the climbing shoe for those who want to gradually and continuously to learn rock climbing. 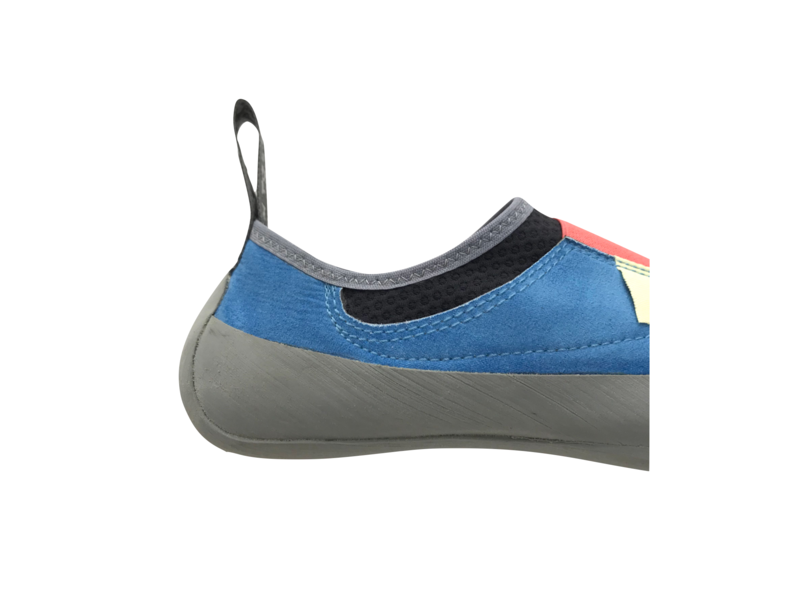 The clamping rubber hugs the foot, but without the tension of any other climbing shoes. 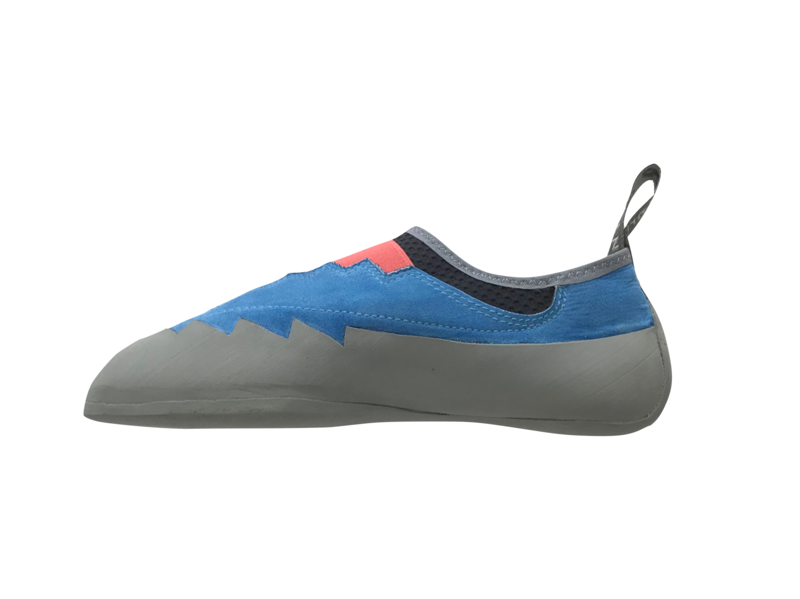 This climbing shoe allows an easy adaptation to the future stress system of the technical shoes. 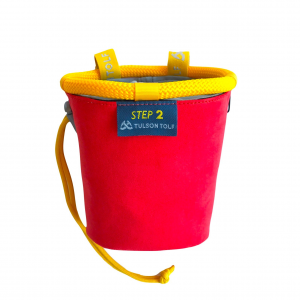 The chalk bag is addapted to the climber that starts, thanks to an easy access, and a narrow bottom where it will soon locate the magnesium you will need during your climb. 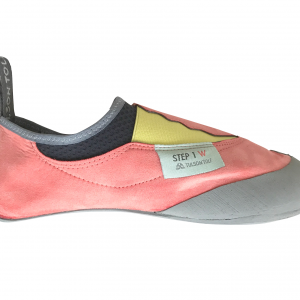 STEP 1 & STEP 2 is an excellent climbing shoe for the training of a highly technique level climber, providing comfort during your work out sessions, while strengthening foot muscles that with the usual climbing shoes do not exercise. 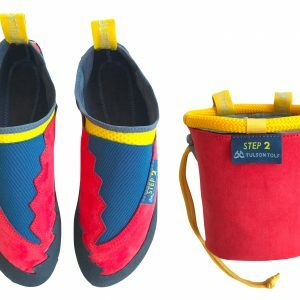 Step 1 and Step 2 is the must climbing shoes we all should have. It works for every moment since the beginning in this sport to always. 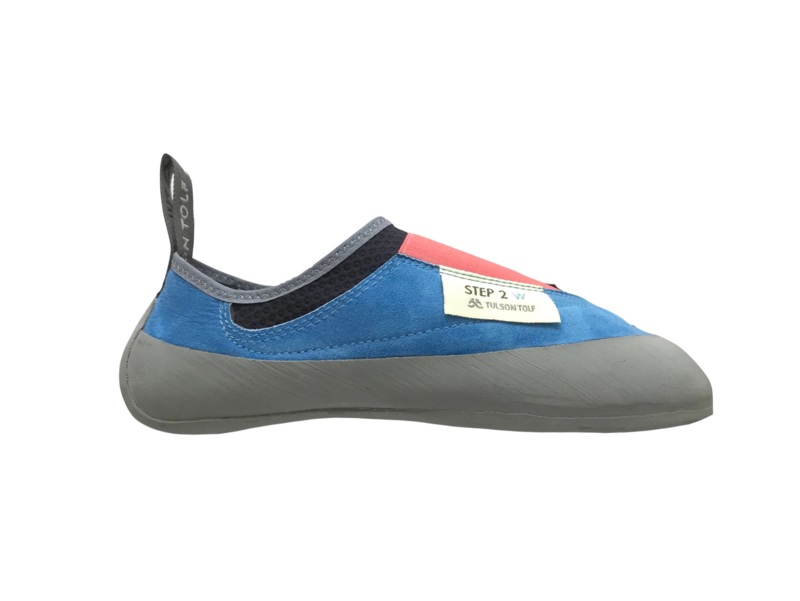 When we start on climbing this climbing shoes will introduces us to the technique of vertical climbs with confortabity, security, and freedom of movements. While we advance, they will be our best tool to train on our self confidence, to stretch, to strengthen our muscles and to practice techniques like yoga climb thanks to its extreme comfort. And finally, when we are on a high level, they will be next to us always to climb in the most free way. Every day we are more the climbers who always, always wear our Step 1 or Step 2 in our pockets.